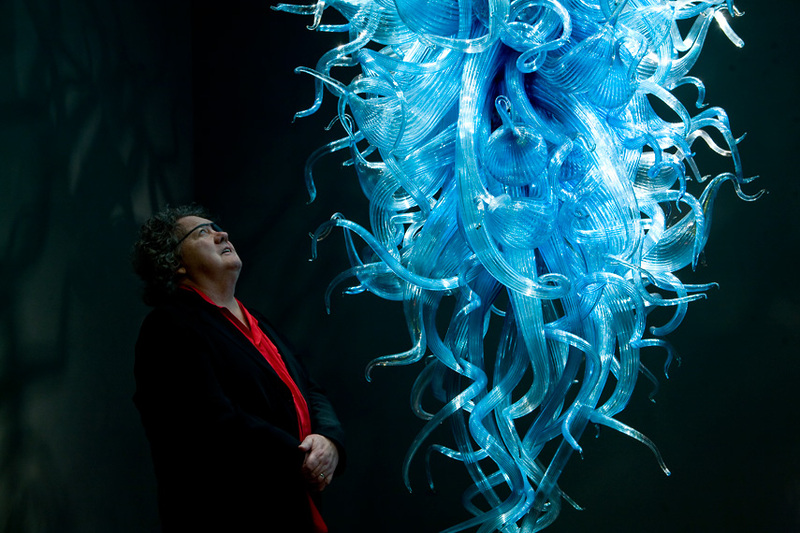 Visit the Dale Chihuly website and click on the installation link to see a truly remarkable artist at work! 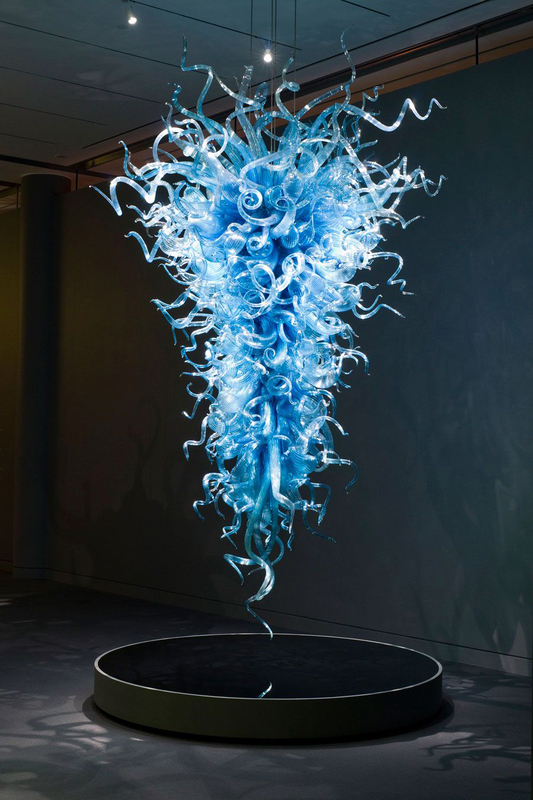 “Dale Chihuly is most frequently lauded for revolutionising the Studio Glass movement by expanding its original premise of the solitary artist working in a studio environment to encompass the notion of collaborative teams and a division of labor within the creative process. 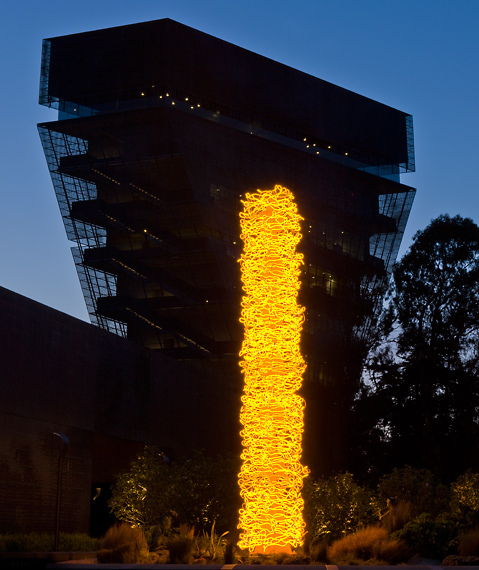 However, Chihuly’s contribution extends well beyond the boundaries both of this movement and even the field of glass: his achievements have influenced contemporary art in general. 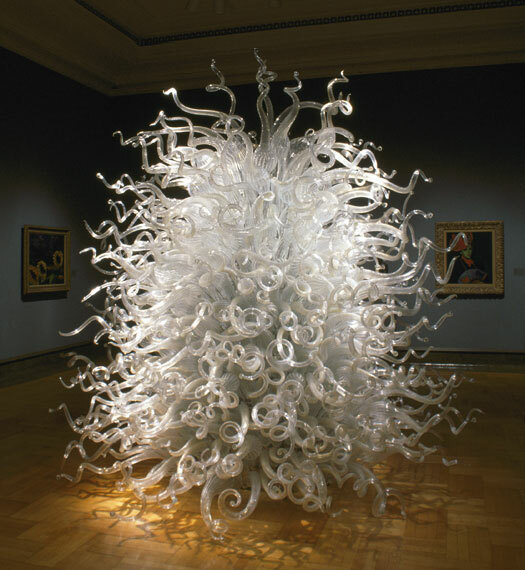 Chihuly’s practice of using teams has led to the development of complex, multipart sculptures of dramatic beauty that place him in the leadership role of moving blown glass out of the confines of the small, precious object and into the realm of large-scale contemporary sculpture. 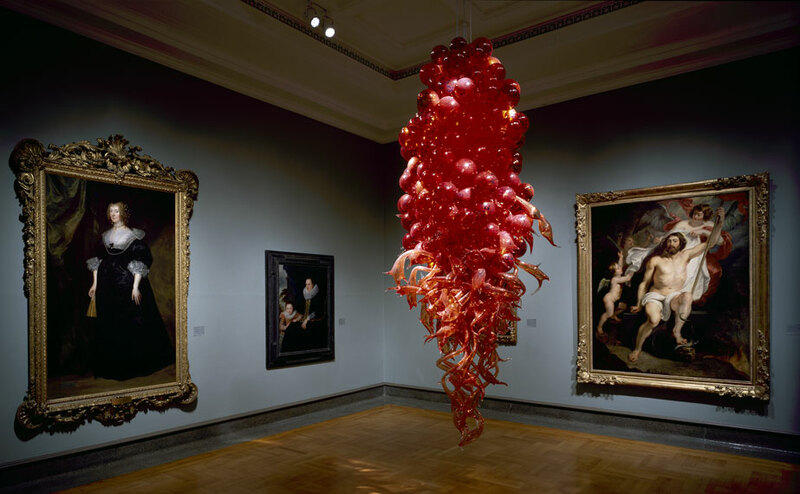 In fact, Chihuly deserves credit for establishing the blown glass form as an accepted vehicle for installation and environmental art beginning in the late twentieth century and continuing today. 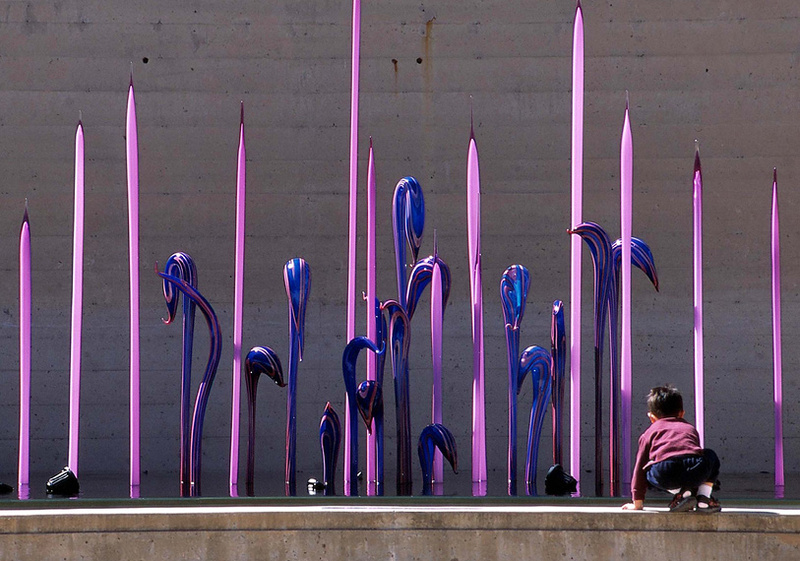 Stylistically over the past forty years, Chihuly’s sculptures in glass have explored colour, line, and assemblage. Although his work ranges from the single vessel to indoor/outdoor site-specific installations, he is best known for his multipart blown compositions. These works fall into the categories of mini-environments designed for the tabletop as well as large, often serialized forms that are innovatively displayed in groupings on a wide variety of surfaces ranging from pedestals to bodies of natural water. Masses of these blown forms also have been affixed to specially engineered structures that dominate large exterior or interior spaces. Over the years Chihuly and his teams have created a wide vocabulary of blown forms, revisiting and refining earlier shapes while at the same time creating exciting new elements, such as his Fiori, all of which demonstrate mastery and understanding of glassblowing techniques. 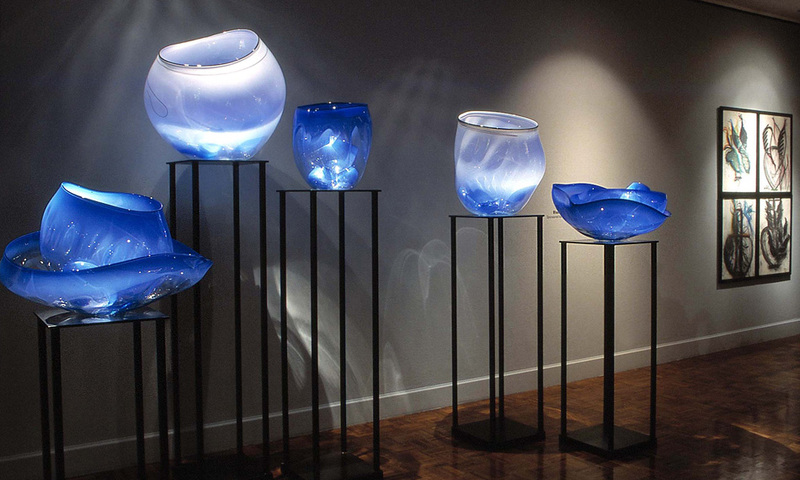 Earlier forms, such as the Baskets, Seaforms, Ikebana, Venetians, and Chandeliers, from the late 1970s through the 1990s have been augmented since the early to mid-1990s with new blown elements. 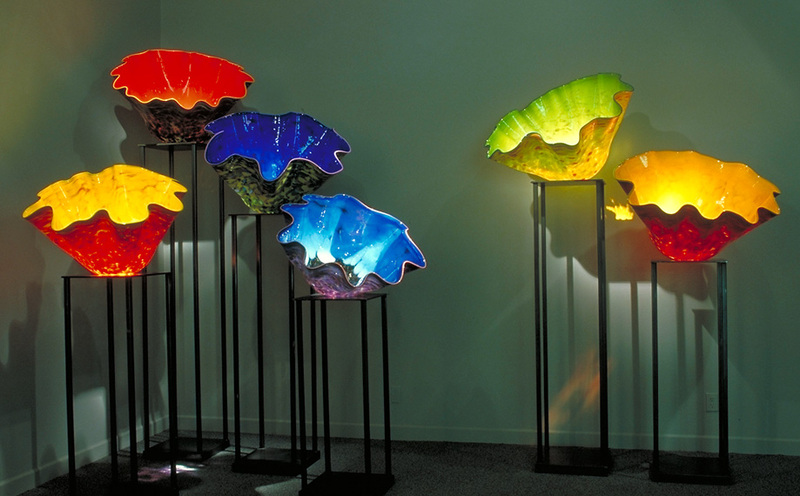 Chihuly and his teams primarily developed these while working in glass factories in France, Finland, Ireland, and Mexico. The resulting Reeds, Saguaros, Herons, Belugas, Seal Pups, and other forms are now juxtaposed with the earlier series, including Macchia, Niijima Floats, and Persians in lively new contexts. Uh. 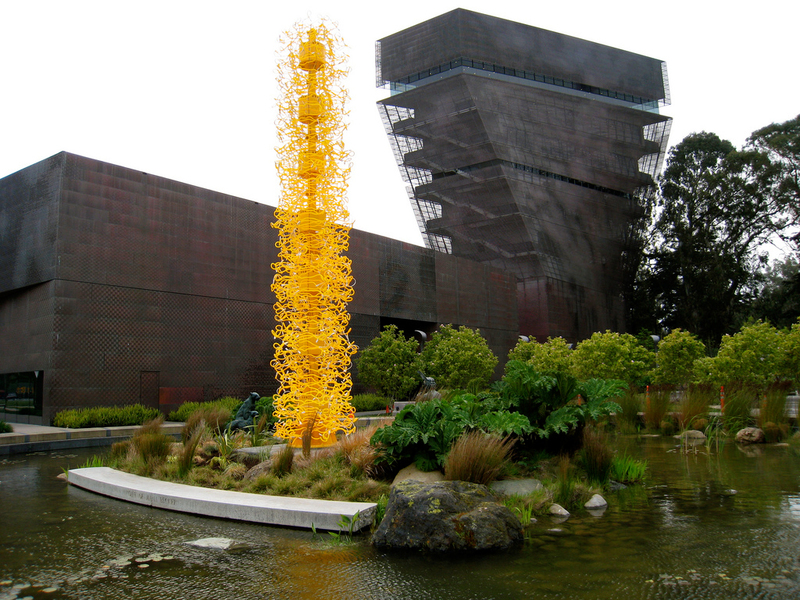 Although the page title says “Dale Chihuly”, why do all of the image captions say “Dave”? Great images anyway. Caught his exhibition at the 2002 Winter Olympics. UNBELIEVABLE!